VIRGINIA McCAULEY (nee Sayle), age 89. Daughter of Charles and Helen Sayle (deceased) and sister of Richard Sayle (deceased). 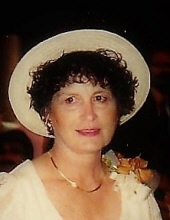 Beloved wife of the late John D., loving mother of Clare McGowan (Christopher), Margaret Mays (Steve), Mary Elliott (Tim, deceased), Susan Sadid (Hossein) and Kieran McCauley (Christine), dear grandmother of Mary Frances, Kathryn, Cameron, Corey, Alex and Emily, and cherished aunt. Girl Scout leader and animal guardian to many. Virginia graduated from Lakewood High School, class of 1947, and was a long-time resident of Berea. She was a legal secretary at CSX railroad and frequent Cleveland Orchestra patron. FUNERAL MASS SATURDAY, NOV 24, ST. MARY’S CHURCH (250 KRAFT STREET, BEREA, OH) AT 10 A.M. In lieu of flowers, donations should be made to the Berea Animal Rescue, c/o the Virginia McCauley Memorial Fund, www.bereaanimalrescue.com. "Email Address" would like to share the life celebration of VIRGINIA HELEN McCAULEY. Click on the "link" to go to share a favorite memory or leave a condolence message for the family.